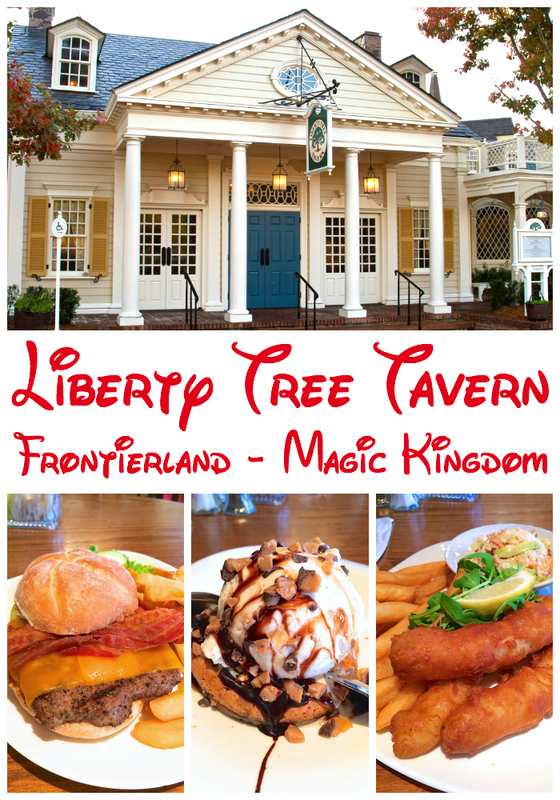 While we were in Disney World for the Food Blog Forum in February, we had a fabulous lunch at the Liberty Tree Tavern in Frontierland in Magic Kingdom. It is across from the Hall of Presidents. You need a reservation to eat here. At lunch, you order off a menu. At night, there is a buffet. 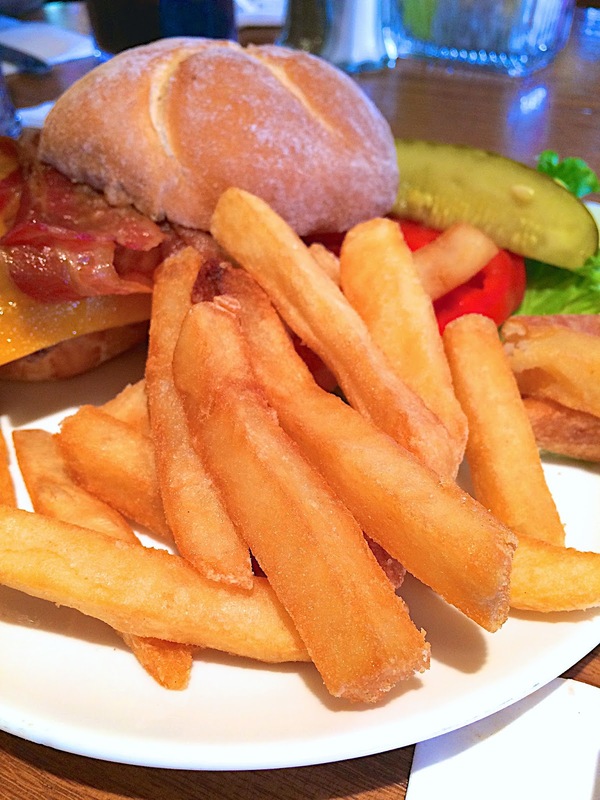 We've never had the buffet, but we absolutely love the lunch menu! 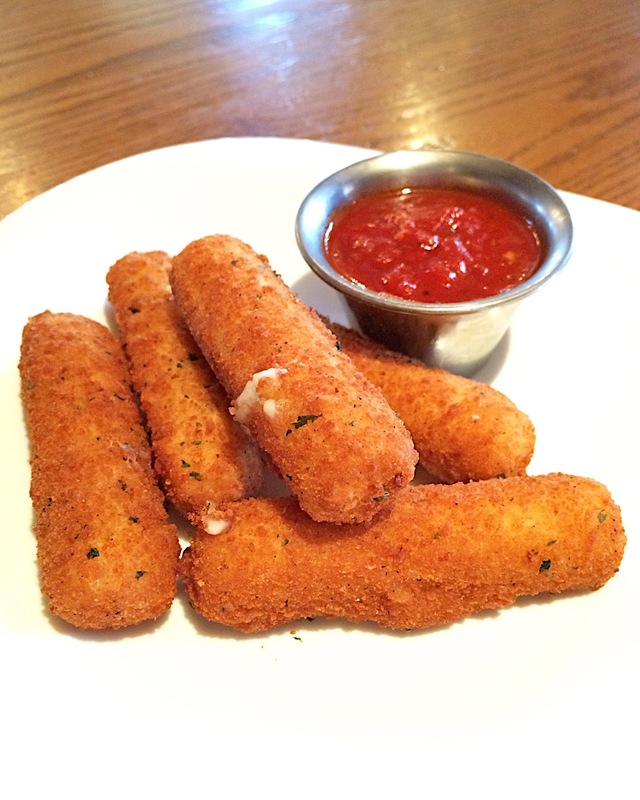 We started our meal off with an order of cheese sticks. They good! We hadn't eaten breakfast, so we gobbled them up. Chicken Legs got the fried fish and french fries. 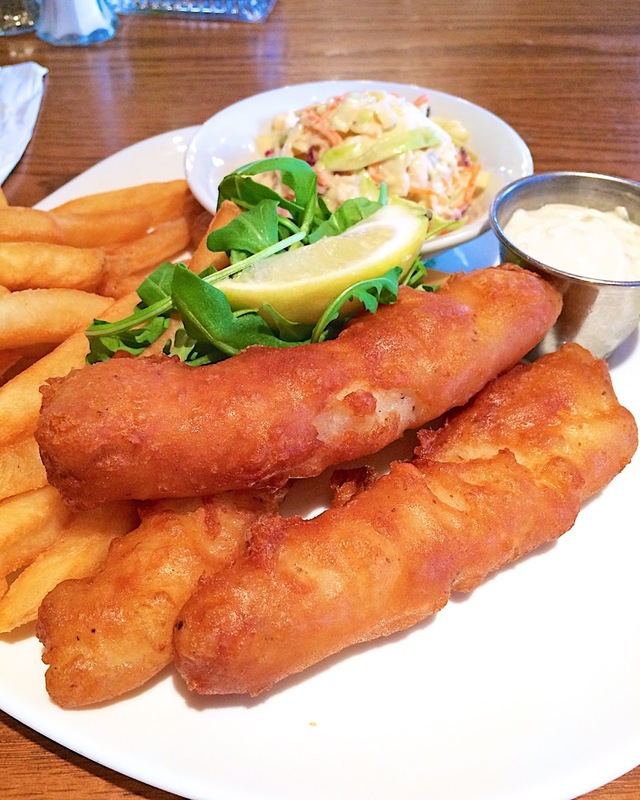 He said is was better than the Fish and Chips in England (Epcot). That says a lot because the Fish and Chips in England are great! I got the burger. 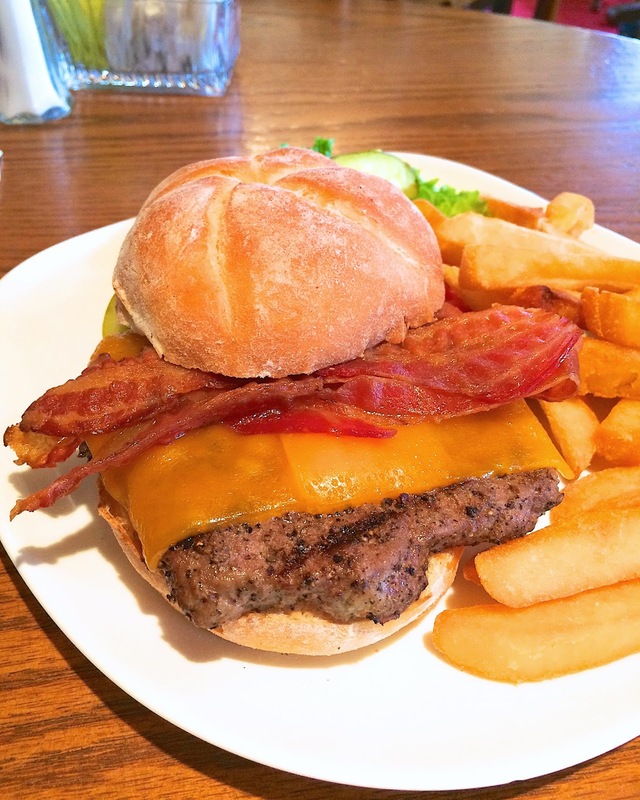 I think it is the best burger in Walt Disney World. They burgers are made to order, so they take about 10-15 minutes once you order. I got it topped with cheddar and bacon. You an also get a mushroom and swiss burger. The fries were really good and crispy. 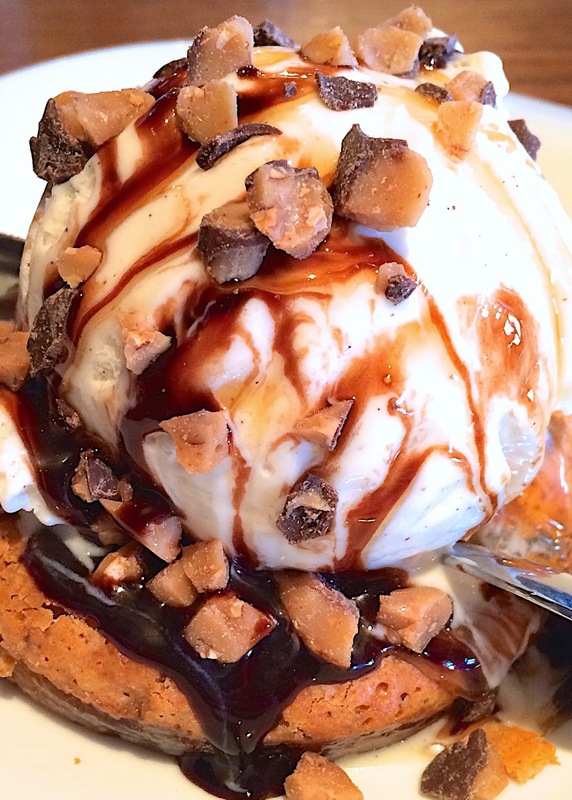 You can't go to the Liberty Tree Tavern without getting the Ooey Gooey Toffee Cake. 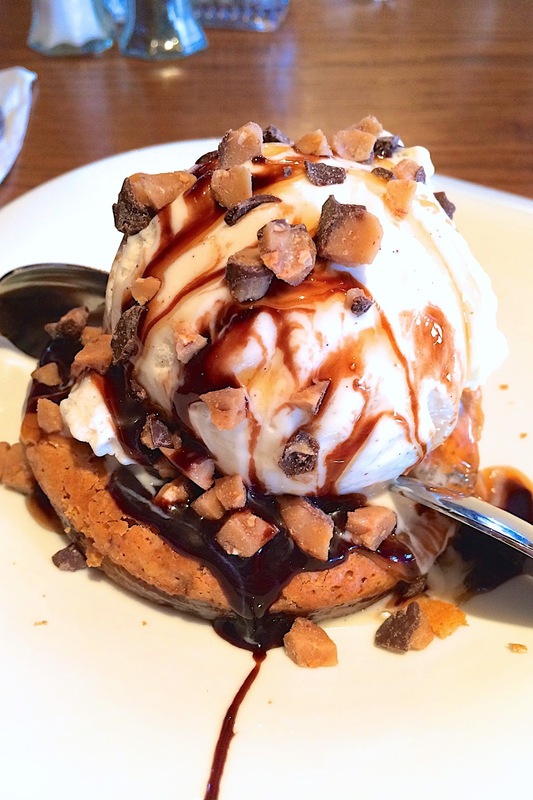 It is a gooey butter cake topped with chocolate sauce, ice cream and toffee bits. Our waitress was SO nice. She brought us an extra scoop of ice cream so we had plenty! We split the dessert, but I could totally eat one all by myself! We were SO stuffed when we left, but it was totally worth it! Next time you go, get the New England pot roast! OMG it is to DIE for! LTT is always the first restaurant we eat at when we go to the World!